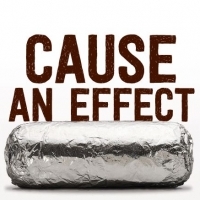 Voice of Hope - Chipotle- Lets Eat With Purpose Night! Chipotle- Lets Eat With Purpose Night! Monday February 11th is the 3rd annual Chipotle fundraiser and has helped Voice of Hope collect over $1,400.00. That is AMAZING! This is the reason we call it EATING WITH PURPOSE. We are able to have a delicious dinner, and simultaneously help VOH save lives and strengthen families. PLEASE present this flyer (CLICK HERE), or show it to the cashier on your phone BEFORE ordering. 33% of your order will be donated to Voice of Hope. It is important that you remember to let them know it is for Voice of Hope BEFORE your order, especially BEFORE you pay. You also can choose to cater a dinner for your organization or event that evening. Chipotle requires a 24 hour notice before pick up. If you schedule your order to be ready between 5p and 9 pm AND tell them it is for Voice of Hope fundraiser when you order and BEFORE you pay... It will count toward our campaign. We are believing this to be our best year ever!